Dubai-based Mashreq Bank will revamp its banking services in the UAE with the help of NCR technology over the next six months. 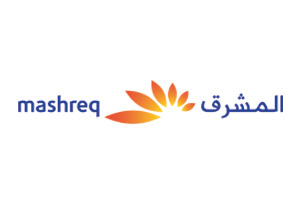 NCR says Mashreq will be the first in the region to deploy its tablet-based Interactive Banker, which lets tellers come out from behind their counters to help customer’s complete transactions. Sandeep Chauhan, head of operations and technology, Mashreq Bank, says this development allows it “to transform our customer interaction model”. According to NCR, Interactive Banker allows the bank to monitor customers’ transactions on its latest ATMs rolled-out in its branches. With a dashboard view, banks can allocate multiple advisors to multiple devices so staff can “focus on customer service and cross-selling”. Mashreq Bank will also use the software-based Interactive Teller that allows a live teller to take remote control of an ATM to assist customers to do all transactions typically completed by tellers inside a branch. This includes branch banking transactions such as cash and cheque deposit, bill pay, new account opening and loan initiation. In addition to all this, NCR will add its self-service financial kiosk at these branches allowing Mashreq customers to execute teller transactions on their own. Transactions include address update, instant statements of all accounts, blocking or replacing cards, registering for online banking services, Emirates ID registration and bill payments. Back in May, Mashreq revealed its plans as a branchless bank in a speech by CEO Abdul Aziz Al Ghurair at its 50th anniversary ceremony. With the rise in digital banking, Al Ghurair used the speech to express his understanding of the real world; and set out the bank’s vision of job cuts and embracing new technologies. Can the right combination of self-service device management, cash management and end-to-end transaction monitoring enable banks to embrace enterprise-wide performance awareness, and take a holistic approach to managing their multi-channel banking environments?